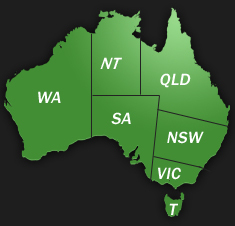 TFH Hire - Temporary Fencing Hire Sydney is the most successful privately owned temporary fencing company in Australia that has over 30 branches nationwide. The family behind TFH Hire - Temporary Fencing Hire Sydney has been in business since 1974 and in that period have built up an extensive portfolio of business achievements and awards in Sydney for Temporary Fencing. TFH Hire - Temporary Fencing Hire Sydney has grown quickly over the years, constantly moving with the ever-changing needs of the construction industry providing both site safety and security. TFH Hire - Temporary Fencing Hire Sydney are the Event Specialists. In todays market, lead in this specialised field and have recently introduced a new high security “anti-climb” event fencing, manufactured specifically for concerts and outdoor events where temporary security fencing is required. 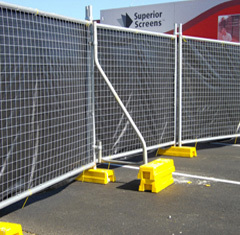 Many of the major annual events held nationally are associated with TFH Hire - Temporary Fencing Hire Sydney, including motor racing as well as concerts and family events. TFH Hire - Temporary Fencing Hire Sydney are constantly evolving to ensure that we continue to offer our clients quality products and exemplary service. Our highly experienced staff at TFH Hire – Temporary Fencing Hire Sydney offer prompt delivery times with transport and installation. TFH Hire – Temporary Fencing Hire Sydney have demonstrated a capacity to not only provide the required quality product, but to also meet the stringent time constraints in regards to the installation and dismantling of temporary fencing. For a professional, reliable and friendly service that you will never forget call TFH Hire – Temporary Fencing Hire Sydney today or click below for a free no obligation quote.